Adriana Betti First began working with R.I.S.E. in 1996 as a math consultant; in 1998 she took on the role of Program Director, and in 2013 became Executive Director of R.I.S.E. Adriana Betti received her Bachelor’s degree from UC Berkeley in Math and Computer Science, and received her Masters in Math, English, and Science Technology from University of Massachusetts Amherst. 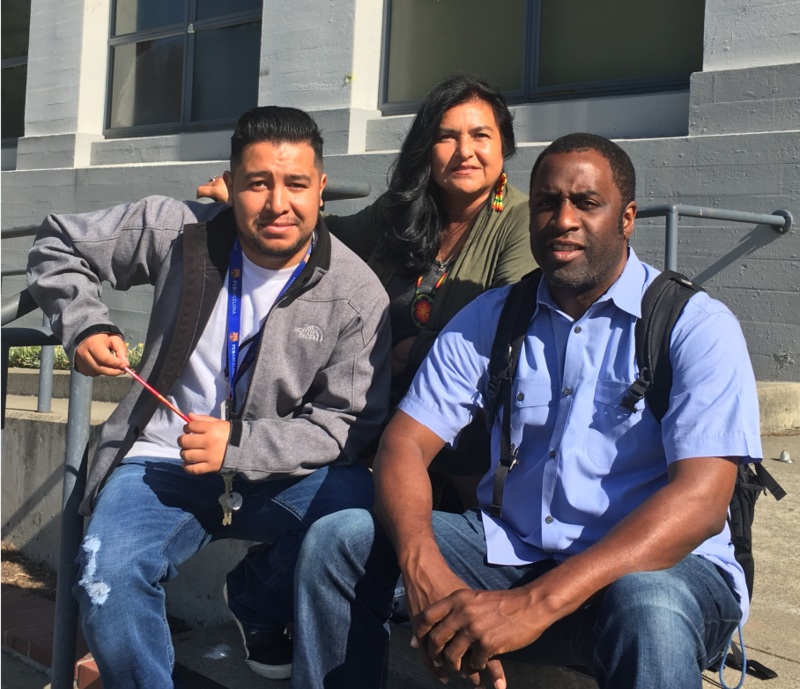 As one of the original collaborators of the 20/20 Vision, Ms. Betti has worked tirelessly addressing the inequities and disparities for students of color in the Berkeley Unified School District. In 1994 she founded the Native American youth group, Cuauhtli Mitotiani Mexica, and till this day continues to teach and travel internationally with the youth. Adriana Betti has also worked for the Lawrence Hall of Science as a math teacher trainer for the Oakland Unified School District. Along with teaching adjunct math classes at UC Berkeley, Adriana Betti has formerly taught at King Middle School, Berkeley High, and B-Tech. In 2014, she was named VIP Woman of the Year by the National Association of Professional Women. Her vision of RISE and constant commitment and dedication has earned her much respect in the community as one of the very few Indigenous Latina leaders in the City of Berkeley. student in 1997, and first began working as an academic mentor. His passion for tutoring and mentoring students at the High School level developed over the years and culminated with him becoming a Case Manager and the Chief Financial Officer for the R.I.S.E. program in 1999. He earned his Bachelor’s degree from UC Berkeley in Electrical Engineering and Computer Science in 1998. Javier started in R.I.S.E. as a student eventually graduating from the Berkeley High and R.I.S.E. and going to college. He came back to work for R.I.S.E. as an academic mentor in 2012 while still in school. Javier started developing a passion for teaching and tutoring which made him find his new career path. He became the new R.I.S.E. case manager in 2017. Javier earned his Bachelor’s Degree in Urban Studies and Planning from San Francisco State University in 2016.